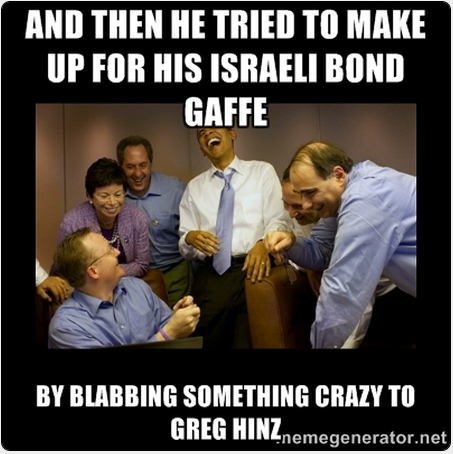 While he was attempting to dig himself out of the self-dug hole around Israeli bonds and his plans as Illinois State Treasurer, Mike Frerichs let the verbal diarrhea flow to Crain's Chicago columnist Greg Hinz. This time, he made what appears to be a totally off the cuff, ridiculous proposal that would have the State of Illinois divest from certain companies based on - apparently - location and some factors that only Mike Frerichs knows. Mr. Frerichs said he would stick with that 3 percent figure as an overall goal and make other investments based on market returns. But — without prompting — he then went on to say that the state should divest itself of any pension investments in companies "that move jobs overseas out of Illinois." Mr. Frerichs gave no examples, but as treasurer he would be a voting member of the Illinois State Board of Investments, which handles money management for some of the state's pension funds. Asked whether he would divest shares of Deerfield-based Walgreen if it indeed moves its headquarters to Switzerland, Mr. Frerichs said he'd wait for a while "to see how they manage this...what is the number of jobs they move out of the state."